Comfort is the most subjective of criteria. 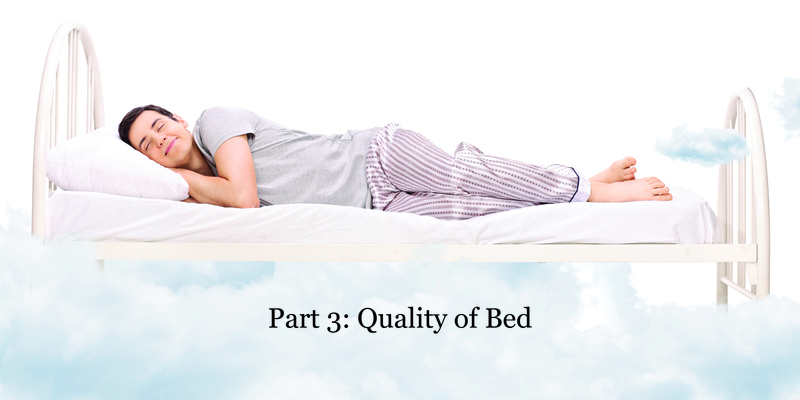 How comfortable a mattress is amounts, ultimately, to one consideration: who sleeps on it. One size doesn’t fit all. Yes, some universal basic considerations apply­—the mattress should support the natural curve of the spine and, as a result, most doctors and sleep experts recommend medium-firm mattresses. But if a softer mattress offers the kind of cushioning and buoyancy that consistently relieve the back pain of some sufferers, it would make little sense for them to switch to a firm mattress. Smaller people (under 120 pounds) often find softer mattresses enough to provide an appropriate support to their frames. The areas of the body that are particularly sensitive to pressure are known as pressure points. They can often be felt in bony areas. People suffering from fibromyalgia are particularly prone to developing areas of tenderness. Any mattress that distributes the sleeper’s weight evenly throughout works to relieve the pressure points. Does the comfort layer of the mattress have a cooling effect? Or does it hold your body heat and leave you sweaty and uncomfortable? These questions have become increasingly important to mattress shoppers. The National Institute of Health counsels cooler temperatures for sleep. Cooling increases blood flow, and that, in turn, leads to oxygenation. Memory foam, especially in its earliest forms, had the problem of enveloping the body with too much heat and was particularly bad for the sleepers prone to hot flashes or night sweats or who lived in warmer climates. Mattress technology has advanced to address this issue through techniques like body temperature-absorbing materials (phase change materials or PCMs), and through the use of cooling gels, copper, or other materials in the top layer. Cooling mattress toppers, bought separately, too, purport to offer the same remedy. How do various mattress types relate to back pain? Memory foam mattresses conform to the body in response to weight and heat.